I've been working on some designs for pin cushions...or they could be used flat on book covers, pillows, etc. 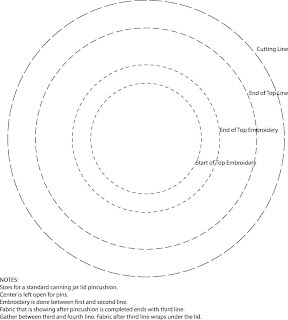 However, I need to also tell you "how" to create the pin cushion once the design has been stitched. So, there needs to be a general tutorial really...on custruction...before the real design is shared. So, I'll be taking a couple of days to post a tutorial on how to use the designs and how to create a really firmly stuffed pincushion once you've stitched the designs. 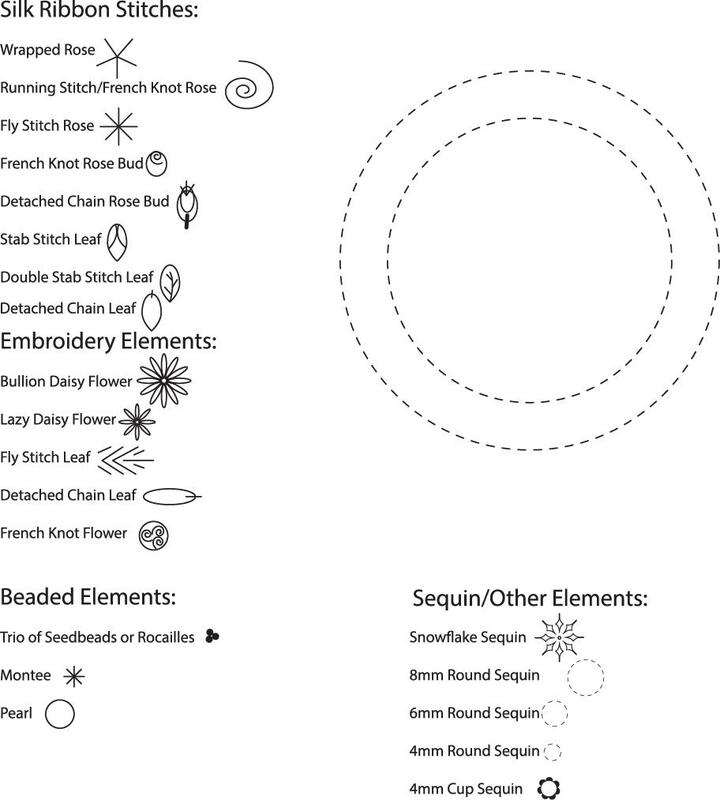 Today, here is the basic layout of the pincushion top section and the Legend that I'll be using for the different elements of each design. This will change as time goes on...and I add new elements to the list. But, I'll update that for you when it needs to be adjusted. 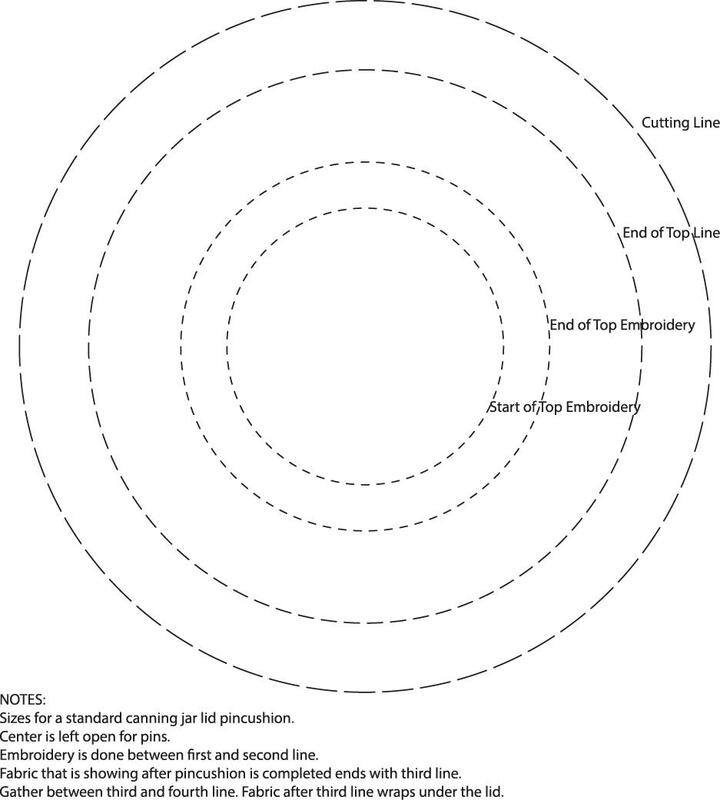 You'll need this to understand the positioning of the embroidery, beading, and silk ribbon work...and how big to cut your fabric, foundation, and lining. There is a second design completed also...and it will be posted when I get the example stitched. There will be others to follow, so it might be a good idea to set you up a file folder for downloading these photos as each design is posted this year. Hope you are going to find this new design adventure beneficial. 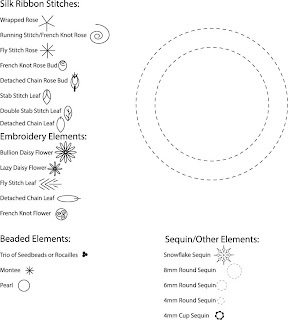 Feel free to use the symbols to and blank charts to create your own designs as well.